Punk rock band Gnarwolves have announced a one off UK show at The Venue in Derby for Wednesday 23rd August. The Brighton-based punk rockers are coming to Derby for a last minute warm-up show before their appearance at the Leeds festival. This is a MASSIVE announcement from The Venue. 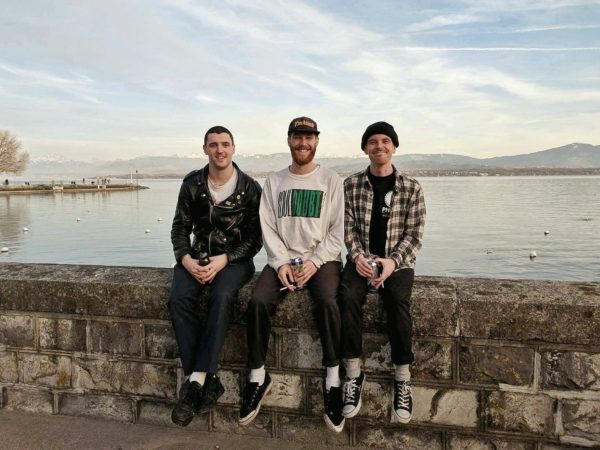 Gnarwolves have supported some of the biggest names in the punk-rock genre, such as Blink-182 and The Story So Far. Their shows are injected with energy and boldness and THAT is something you really don't want to miss out on. Tickets will be available from Thursday 10th August from 1pm via Gigantic and SEE Tickets and customers are advised to purchase online only as they are likely to sell quickly. The Brighton-based punk rockers are coming to Derby THIS MONTH! Daughter of Smoke and Bone by Laini Taylor // Book Review! Next story This band are going to be BIG! Captain Marvel – the best solo female superhero movie marvel has ever released. Maccies is Coming to Kedleston Road! Well… Hey There New Radio Studio! Your Dad on A Divided Kingdom? A Brief Study on the North-South Divide in British Culture and Society. Isn’t It Romantic – A rhetorical question, but only for the first act.